Brilliant clear color. Faint, floral aromas of herb nut muffin, powdered honey, and tropical and chamomile tea with a supple, bright, dry-yet-fruity light-to-medium body and a warming, interesting, breezy orange spice cake, licorice, pepper, and chalk finish. A rock solid gin with a fine balance of juniper, herbs and fruit. 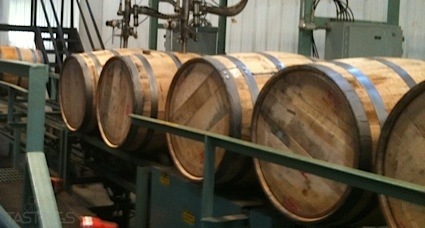 Bottom Line: A rock solid gin with a fine balance of juniper, herbs and fruit. 84 • 360 Lime Vodka 35% (USA) $14.99. 89 • 360 Mango Vodka 35% (USA) $14.99. 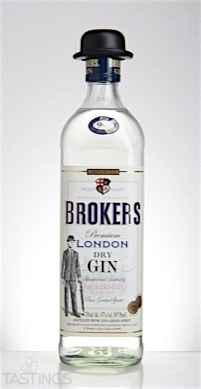 91 • Broker’s London Dry Gin 47% (England) $22.99. Broker’s London Dry Gin rating was calculated by tastings.com to be 91 points out of 100 on 3/29/2016. Please note that MSRP may have changed since the date of our review.